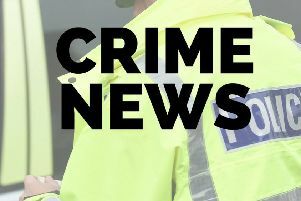 A Skegness drug dealer who was caught when a police officer stopped him on suspicion of driving offences has been handed a five-year prison sentence. Richard Pitt (40), of Roman Bank, Skegness, pleaded guilty on 3 May to possession with intent to supply, possession of heroin, and assaulting a police constable. He was sentenced to five years and nine months at Lincoln Crown Court. Pitt was riding a moped on Cavendish Road, Skegness, on 26 March 2018 at 16:47pm, when he was stopped by a local PC on suspicion of committing a traffic offence. When asked for his details, Pitt used his helmet to push the officer, and knocked him to the floor, before running away down Cavendish Road. Pitt was detained by the same officer he assaulted on the same road. He aimed several punches at the officer, who was assisted by a member of the public in detaining the offender. After being searched, he was discovered to have 29 wraps of a white solid substance inside two plastic containers and pockets. A search of his property on Drummond Road found drug supply items. The drugs were later discovered to be heroin and cocaine. He was charged on 27 March and pled guilty at court on 3 May. OIC DC David Dixon said: “This offender was determined to hide his offences at all costs, even if it meant assaulting one of the people who spends their days keeping communities safe. The officer in this case was given the support he needed, but was back out protecting people immediately. Their dedication was shown by the fact that they were the ones who picked themselves up and made the arrest.